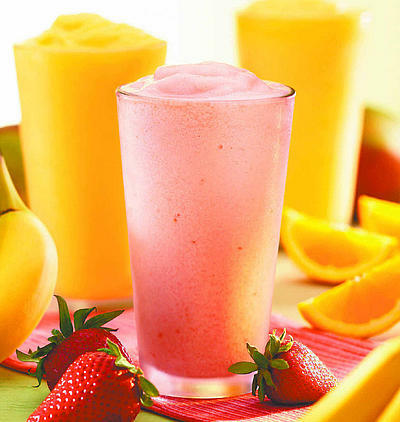 In my opinion, smoothies really are the best way to start the morning. They’re both cool and refreshing, and it gives you the nutritious energy you need to go about your day. Not only are they crammed with vitamins and nutrients that will keep your body and skin healthy, but they’re also super quick and simple to make-and they’re perfect to make for an on-the-go morning. So instead of eating sweet cereal; bacon and eggs; or waffles (as yummy as they may sound), why not try some thing new? I also have fun playing around with it-try adding cold coffee instead of juice, or try adding a tablespoon of peanut butter-the possibility of flavors and combinations is almost endless, and it’s refreshing to know it’s keeping me healthy throughout my day.